If you are shopping for kitchen worktops, you will definitely focus on a number of things such as relevance and durability. For this reason, you need to consider the other options that are available on the market before settling on a specific worktop. If you would like to have a quartz product but you cannot afford it, consider Apollo Slab Tech worktops. These kitchen worktops is a revolutionary composite worktop product offering a solid surface worktop that takes after quartz even though it has a seamless finish. This worktop is unique and luxurious combining various aspects of quartz and the solid surface that are easy to maintain and install. The Apollo Slab Techis a mixture of polyacrylate resin and natural mineral that form a thick solid material pf about 30mm that is ideal for a kitchen worktop. The interesting thing about this worktop material is that it has the appearance of natural stone like quartz. Even then, the difference between the two worktop materials is in the fact that Apollo Slab Tech worktops have unobtrusive and seamless joints. Apollo Slab Tech worktops come in a variety of colours that you can choose from what will work well for you. These colours will not delaminate or fade. Apollo Slab Tech solid surface worktops also come with the advantage of being non-porous hence stain resistant. Thus, stains that are on the surface can be cleaned off easily without worrying about the occurrence of permanent marks and dull patches. Apollo Slab Tech kitchen worktops have an appearance and feel that is similar to quartz thus you can get a luxurious look for less. This worktop is available in a range of colours that will suite every style. Apollo Slab Tech worktops are non-porous, hygienic and naturally resistant to mildew, bacteria and mould. This worktop can accommodate integrated or undermounted drainer grooves and sinks. Apollo Slab Tech kitchen worktops may be bought as modular systems in specified sizes. Alternatively, they may also be made to measure and be installed by a professional fitter. Should you invest in Apollo Slab Tech Worktops? Well, if you are interested in achieving the look of quarts worktops but cannot afford it, then Apollo Slab Tech solid worktops are the next best bet. Although quartz mainly comprises of natural material with an insignificant amount of acrylic resin, Apollo Slab Tech is mainly made of the resin than the natural mineral. Thus, not only is it non-porous but it can also accommodate solid surface sinks. Even then, you need to know that Apollo Slab Tech worktop’s surface finish is not high gloss finish as is with most worktops. 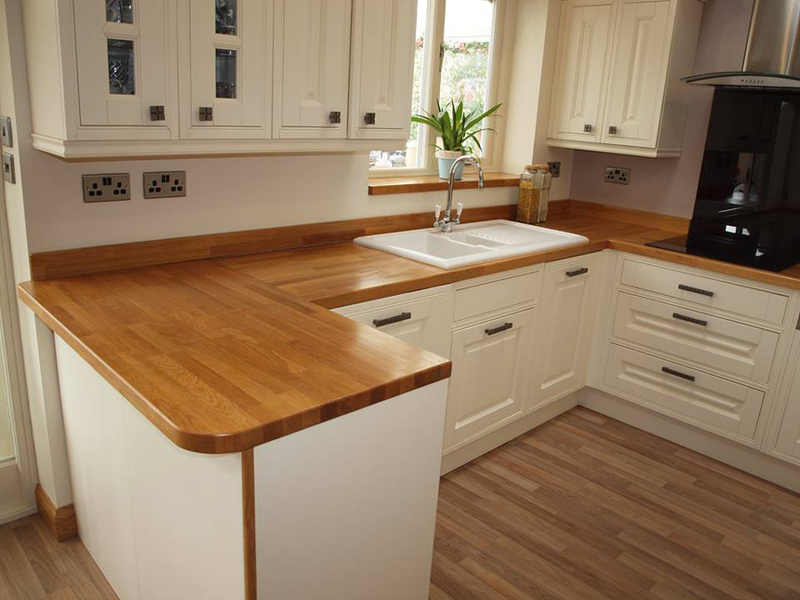 Rather, these worktops are finished to a soft sheen that give them a warm feel of a solid surface worktop. Ultimately, Apollo Slab Tech kitchen worktops are a great investment as they combine both functional and aesthetic values to give your kitchen a great look and feel.